Welcome back Fellow Entrepreneurs! Today we have an episode that you cannot afford to miss! We had with us: Lindsey Anderson, CEO and Founder of WebImpakt.com, trafficandleads.com, and oneclicklindsey.com. Lindsey is an expert of everything from web design, SEO, landing pages, and more. 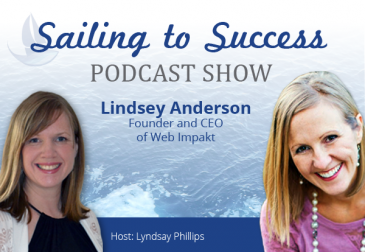 Lindsey gives our listeners plenty of tips and tricks on optimizing your websites or businesses to gain more traffic and leads. She goes through and translates the hard to understand world of Search Engine Optimization for our listeners and shares with us the things every entrepreneur must do in order to acquire and convert successful leads. Tune in right now to find out how to bring more traffic to your business and start improving today! 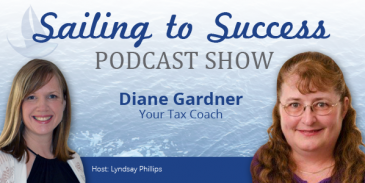 In today's episode of Sailing Success Online Support's Podcast, Lyndsay Phillips interviews Diane Gardner, best selling author of five books, speaker, tax coach and owner of Adept Business Solutions. She saved her clients over 503.000$ in tax payments and we are going to discuss some tips on how you can start doing the same in your own business. 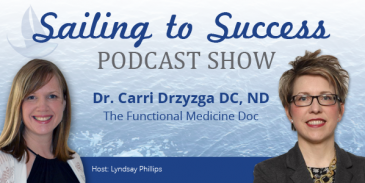 In this episode, I interview the incredible Dr. Carri Drzyzga, a well known international practitioner of functional medicine. Throughout this episode, Dr. Carri informs our listeners of one of the most commonly dealt with problems that our society faces today: Fatigue. Dr. Carri shares with our listeners the story of how she dealt with chronic fatigue herself and how suffering from it convinced her into trying different techniques to gain insight into how she could fix it. Tune in today to hear how you can begin to break down your fatigue and how you too can boost your overall brain health! On episode 10 of Safeguarding Your Business, we talked about how some business owners try to do everything in their business themselves which can be counter-productive!